A luxe combination of leather, suede and canvas. 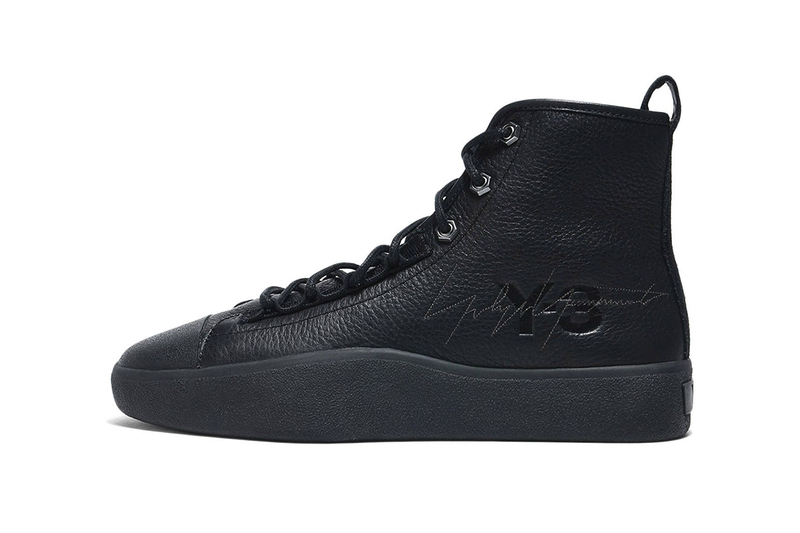 Part of Yohji Yamamoto and adidas’s collaborative Y-3 Fall/Winter 2018 collection is the Bashyo II sneaker, which we are now afforded a closer look at. Earlier this year, we visited the silhouette’s SS18 Bashyo predecessor, constructed mainly of canvas, with this new rendition taking on more of an elevated luxe appeal. Fashioned from a mix of leather, suede, and canvas, the basketball-inspired high-top keeps to a clean monochromatic finish with the only tonal contrast seen on the tongue and outsole branding. Hitting the side of each shoe is a debossed Y-3 emblem, sitting directly behind a stitched image of the enigmatic designer’s signature. A branded badge placed at the rear-side midsole rounds out the fashion-forward kicks. Priced at $350 USD, you can pick up the new Bashyo II sneaker through Y-3’s online shop. In other sneaker news, the adidas UltraBOOST 4.0 “Breast Cancer Awareness” silhouette drops next month.